Cats get hairballs and they cause many problems from health issues to messes. The health issues from a hairball can be minor all the way up to potential life threatening issues. That is why PetNC created their hairball chews. The chews help reduce the chance that your cat will have a hairball. It also helps to reduce the causes for a cat’s hairball to form. Best of all PetNC uses human-grade ingredients so the food chews are safe for your pet. Multiple veterinarians came together to make the formula for these chews and they were tested in laboratories to insure that they had the perfect mix. For a limited time Amazon is offering a 25% off coupon on the PetNC 90 Count Hairball Soft Chews. This is a container of soft chews that is roughly shaped like an ice cream container and contains 90 chewable bits. To redeem the coupon you can head on over to the product page here. Once you are there you click the “Clip Coupon & Save” button, then just add the item to your cart like normal. 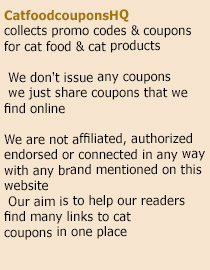 Alternately, you can find the coupon on the Amazon coupons page.